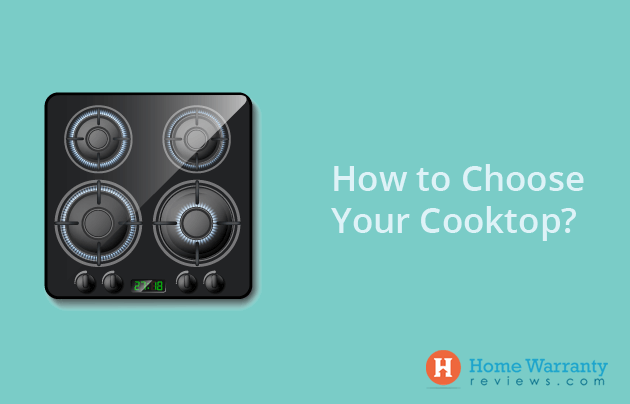 Home » Appliance Maintenance » How to Choose Your Cooktop? Cooktops or stovetops are the more expensive alternative of a freestanding all-in-one range. If you have the space and budget to accommodate a cooktop, your kitchen can be given a sleek and modern look. A cooktop with a separate wall oven is a good alternative to the freestanding range. However, there are certain factors that you need to consider before choosing a cooktop. The Power Source – Gas or Electric? First, find out whether the source of power in your kitchen is electricity or gas. This should help you decide between a gas or an electric cooktop unless you’re considering changing the power source. How Particular Are You about Your Food? If you love to cook, experiment with new recipes, and are particular about the food you cook, then you should consider buying a gas cooktop. When it comes to recovery rate and heat adjustments, electric cooktops are rather slow. The time taken for a pan or cooking pot to regain its original temperature after adding food into it is called Recovery Ratio. Gas cooktops, on the other hand, can adjust to heat changes instantly as the flame increases and reduces immediately. Moreover, they offer higher control over heat. 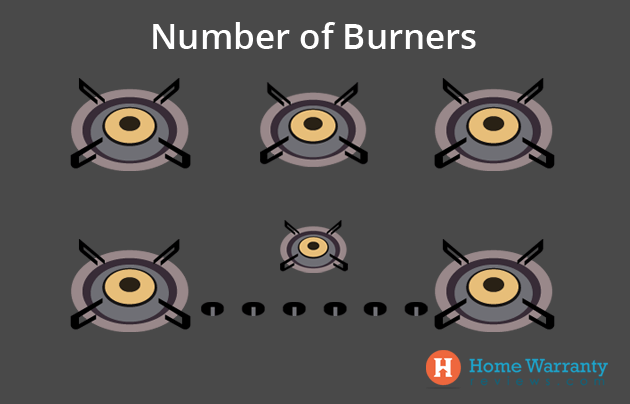 The number of burners you need on your cooktop depends on how often you cook and whether you cook a lot at one go. If you cook a lot at one go, you might want to get a cooktop that has 6 burners. If not, one with 4 burners should suffice. More burners mean less free counter space. The majority of cooktops fall into the 30-36 inch range and they come with 4 to 5 burners. So if you have a small kitchen, having a 6-burner cooktop may give you little counter space to work with. A smoothtop electric cooktop can be used as part of the counter when it’s not in use. But you need to be careful and check if it’s cleared before putting it on. If you’re replacing your cooktop, your options are pretty much limited. You have to choose a cooktop with specific dimensions to make the installation as easy as possible. Unless you plan on an upgrade. If you’re replacing your cooktop, measure the old unit or look up the model number online so that you get precise dimensions. Cooktops usually have burners in sizes that range from 7 inches (17.8 cm) to 12 inches (30.5 cm). If you like to use large pots and pans, you should consider getting a cooktop with larger burners. There are some cooktops that come with accessories that can be interchanged like grills, woks and griddles. Larger burners can accommodate bigger pots and pans that help food cook faster because of the larger surface that is exposed to heat. LG STUDIO 36 in Radiant Electric Cooktop in Stainless Steel with 6 Elements. Type of Burners – Open or Sealed? Open burners heat up quickly but need more energy to cook. This is because the pans/pots are further away from the flame. While sealed burners are closer to the flame they allow the pots and pans to stay closer and require lesser gas to cook. The ease of cleaning up after cooking should also be considered. 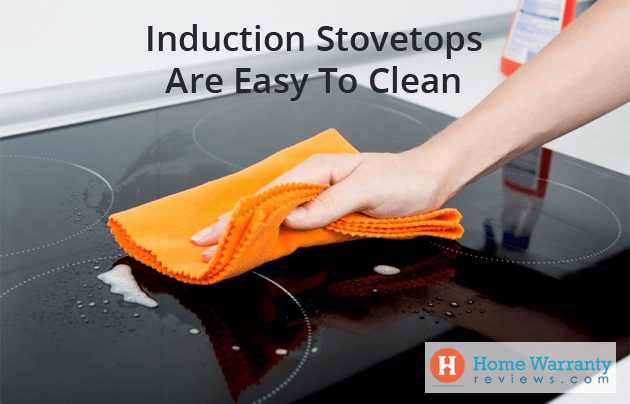 When it comes to cleaning, Smoothtop induction cooktops are the best. Their flat surface makes it very easy to wipe down and clean up. However, it becomes much harder to clean smoothtop cooktops if spills are wiped quickly. The spills tend to burn into the surface and will require elbow grease to be cleaned up. When it comes to gas and coil cooktops, they have more parts which have to be cleaned individually which makes it slightly difficult to clean. Few cooktops let you lift the surface and take out crumbs while others have grates that can be removed. The grates on gas cooktops are usually dishwasher safe. But this isn’t the case with all the models. No matter what type of cooktop you end up buying, there’s going to be cleaning. If the ease to clean your cooktop is your number one priority, smoothtop cooktops are the best option. But there’s always the risk of the heat burning the spills and making the process of cleaning far more difficult. You know the amount of hard work that goes into planning and designing your kitchen to give it the best look. While some people prefer modern sleek looks, others like vintage and other looks. Choose a cooktop that blends into the design and layout of your kitchen. The most common colors available are stainless steel, black, and white. They could be available in other colors as well. We all know that one of the most crucial factors that play a role in the decision-making process is the cost. This is a factor that you need to consider depending on the power source. Gas stovetops cost more to install but the operational cost is lesser when compared to an electric one. But if your kitchen already has a natural gas connection, that reduces the cost of installation up to quite an extent. On the other hand, electric stoves are less expensive when it comes to installation. This is a good option for those who don’t cook much or spend little time in the kitchen. However, if you live in an area that has frequent power outages, your stove will not be functional during those hours. Since electric cooktops consume a large amount of energy, not all back up generators can handle the draw which leaves the cooktop unfunctional. Another thing is that, for people who cook frequently, the operational cost of electric cooktops can be high. 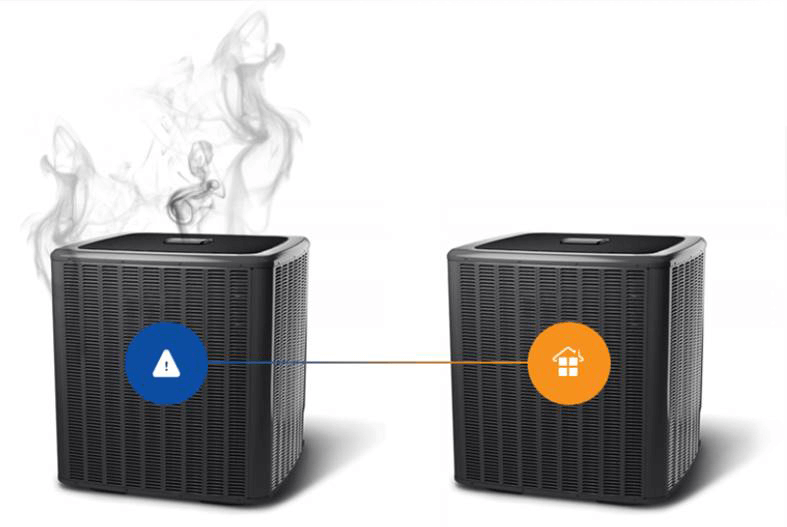 How to Protect Your Home Appliances? While the cost of installation of appliances and the operational cost can be a burden on your budget, you have a way of making it easier. 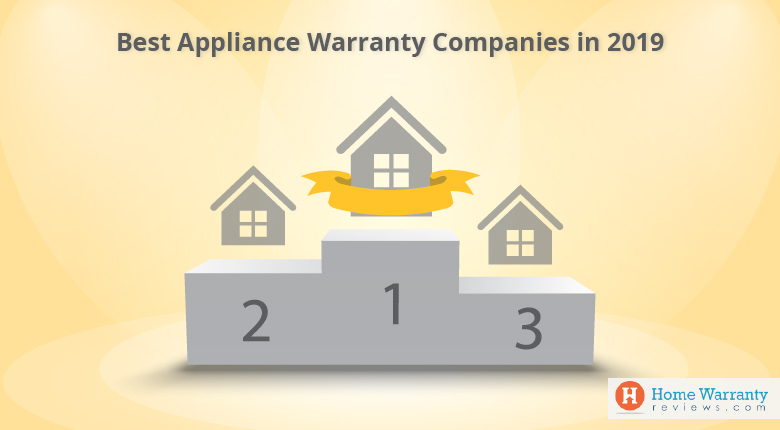 Appliance coverage plans typically cover the cost of repair and replacement of the covered home appliances. However, there are certain conditions like the cause of repair should be due to regular wear and tear and not because of lack of maintenance. These policies are perfect for homeowners who take care of their appliances from time to time. On an average, an American homeowner spends 2% of the cost of their home on upkeep and maintenance. these expenses include home systems and appliance maintenance. So, for a $200,000 house, the cost of maintenance would be around $2,000. You can also use a home maintenance calculator to find out how much your home maintenance expenses would amount to for a year. The cost of home warranty policies from reputed companies usually ranges between $350-$500+. However, for every time that you request a service, you need to pay a service call fee or a deductible. This deductible usually costs $75+, depending on the cost of the policy. The higher the premium, lower the cost of the deductible. But it is very important to find out which home warranty companies provide good service in the area. For that, you need to read online reviews, interact with friends and neighbors who have home warranty policies or appliance coverage plans. It is also important to read the fine print of the contract before you invest in one. 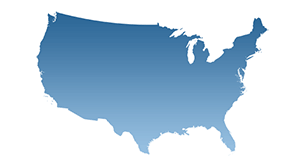 If you would like a free quote from a home warranty company, submit your ZIP code and the email address on which you’d like to receive the quote. 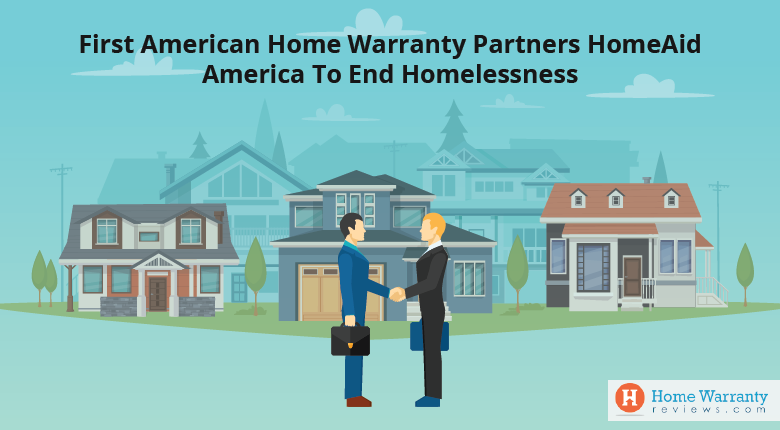 If you’d like to know more about these home warranty policies, you can go through the articles on our website and learn more. Prev Post:How to Fix a Thermostat?